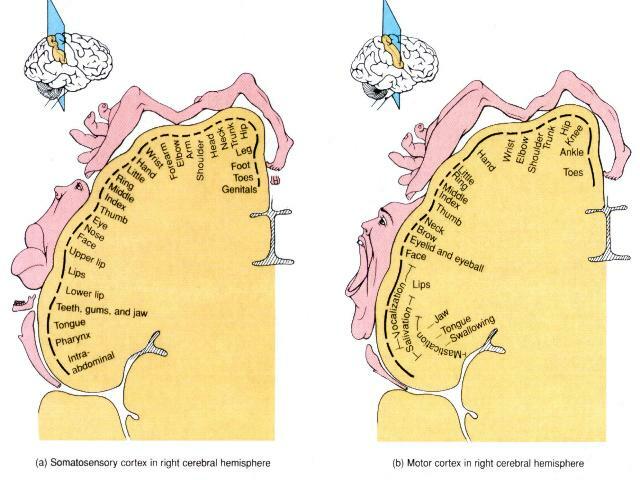 Projection of various body regions on the sensory cortex. The length of each line represents the proportion of the somatosensory cortex devoted to the part indicated by the adjacent label. The diagram shows that the size of the body part is less important than the density of innervation in determining how much space is needed in the cortex. This model shows what a man's body would look like if each part grew in proportion to the area of the cortex of the brain concerned with its sensory perception.